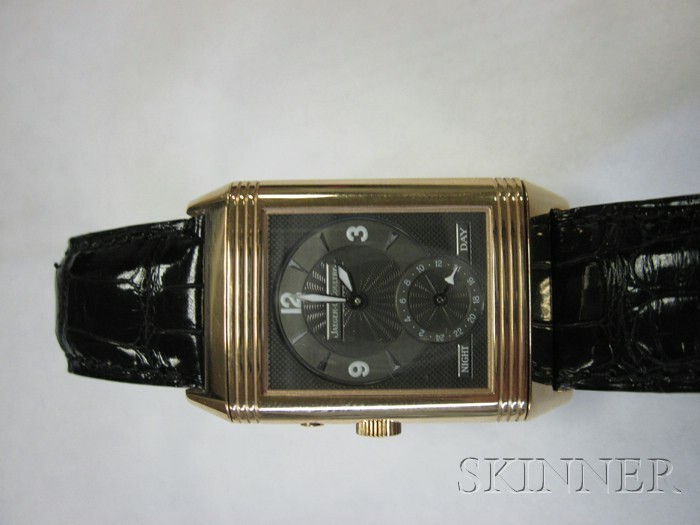 18kt Rose Gold "Reverso" Wristwatch, Jaeger-LeCoultre, with silver-tone and brown metal dials, Arabic and abstract numeral indicators, and subsidiary seconds dials, enclosing manual-wind movements, no. 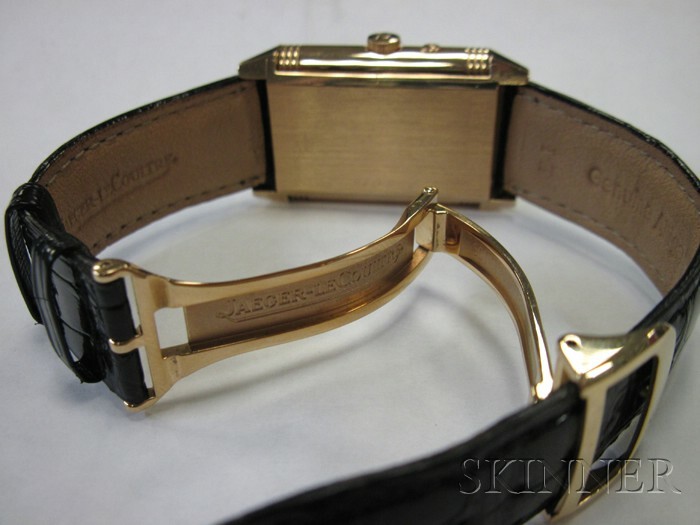 270254, 2110096, black alligator strap with 18kt gold deployant clasp, signed dial, case, strap, and buckle, boxed. 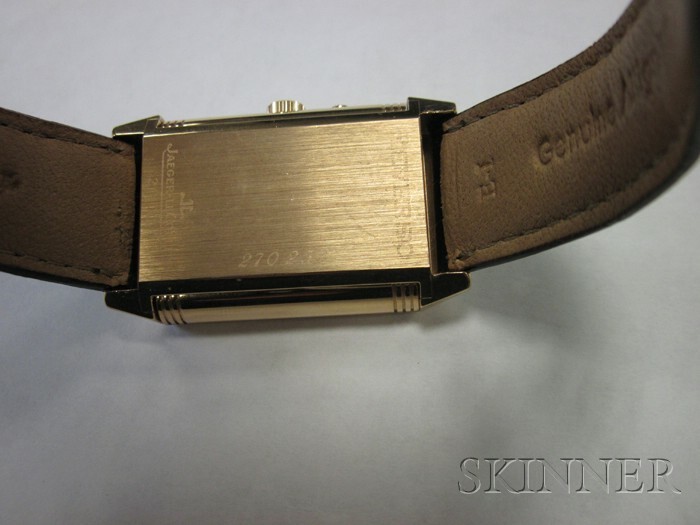 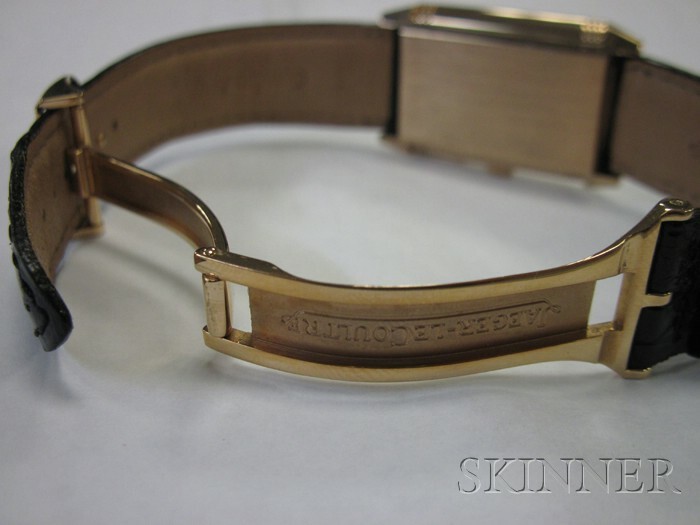 Watch is running and setting, strap appears to be original, gently used condition.